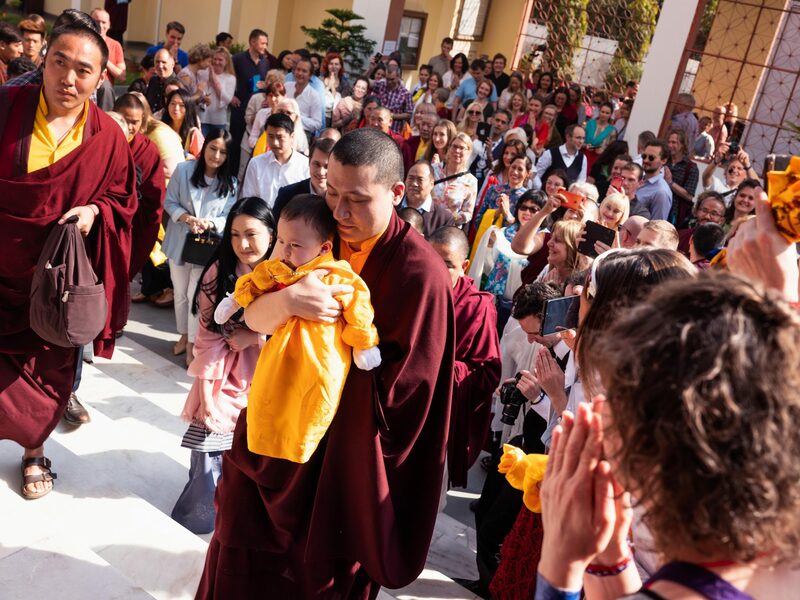 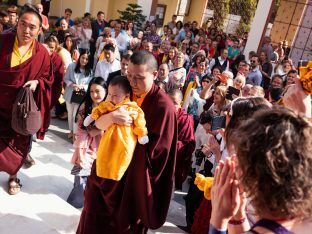 The Karmapa Public Course 2019 at the Karmapa International Buddhist Institute (KIBI), New Delhi, was a joyous and inspiring occasion for all. 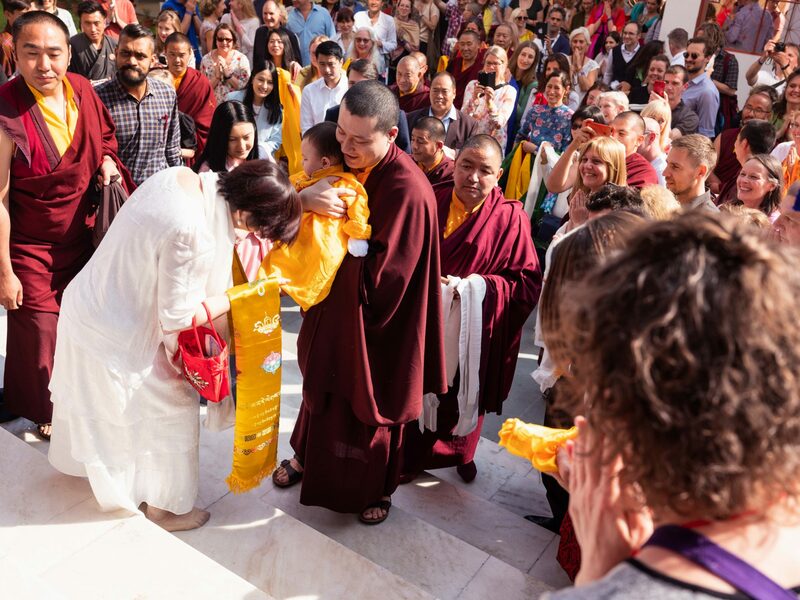 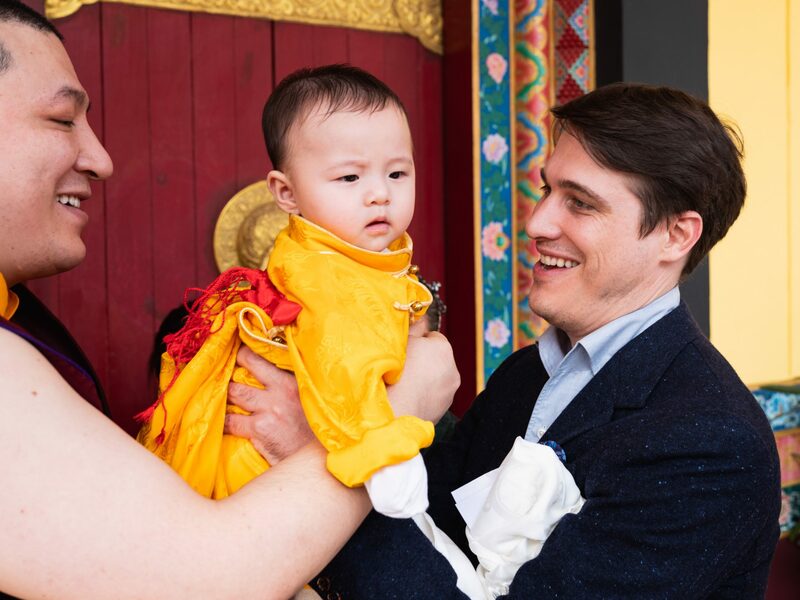 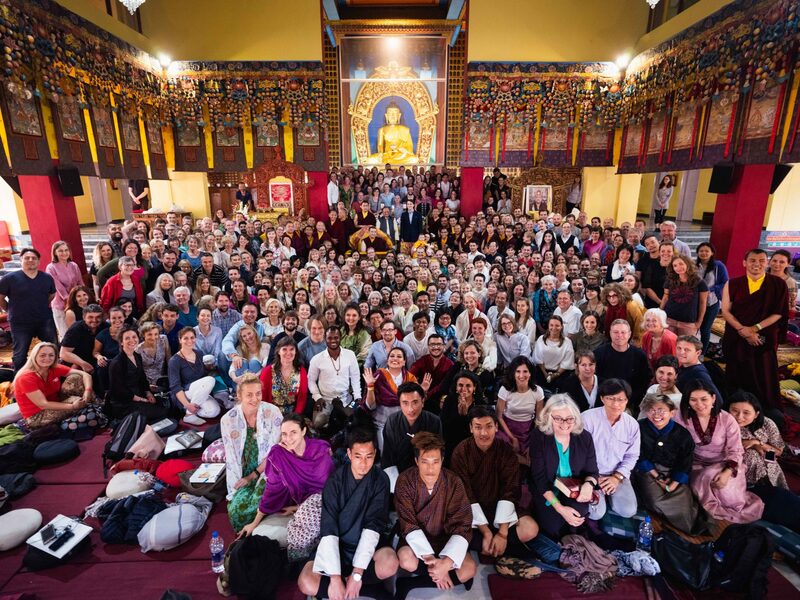 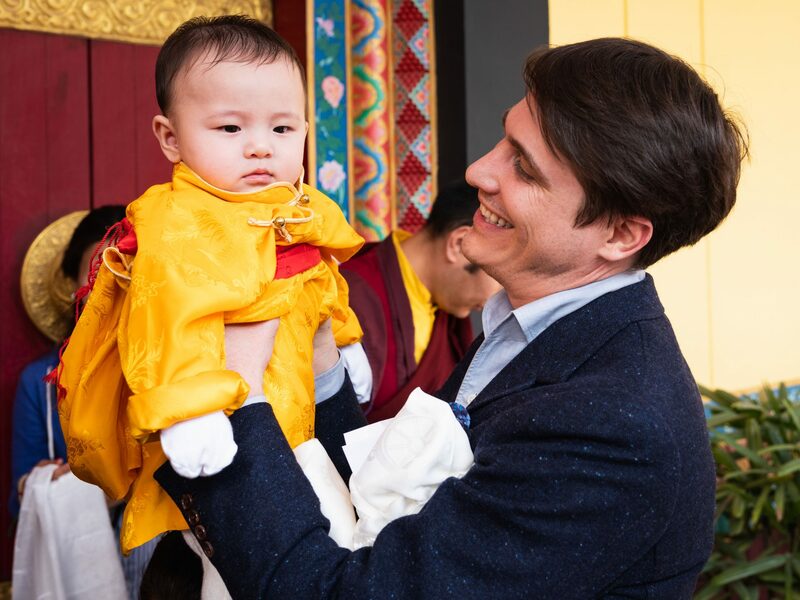 With more than 400 students gathered in person from around the world, together with tens of thousands of students watching the teachings on a live stream, it was an auspicious occasion for Karma Kagyu practitioners to pray and explore the Buddha dharma together. 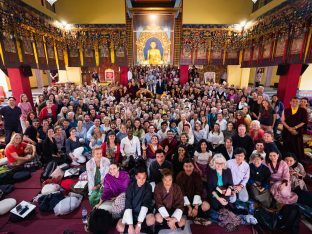 Thaye Dorje, His Holiness the 17th Gyalwa Karmapa, led the annual course, together with wonderful teachings from Professor Sempa Dorje, Trinlay Rinpoche, Khenchen Chodrak Rinpoche, Khenpo Lobsang, and Khenpo Tsering. 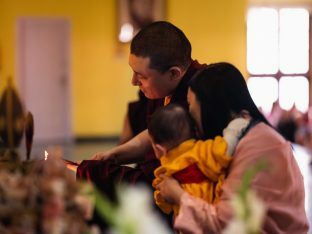 During the week-long course, Karmapa offered the Amitabha and Chenresig Empowerments, as well as daily teachings on Chapter 6 of Shantideva’s ‘Bodhisattva’s Way of Life’, on the subject of patience. 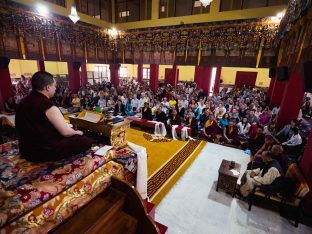 On the single day that Karmapa was unable to attend in person, he left Professor Sempa Dorje with a message to read to the students gathered, which simply said ‘Thank you for your patience!’ The students roared with laughter. 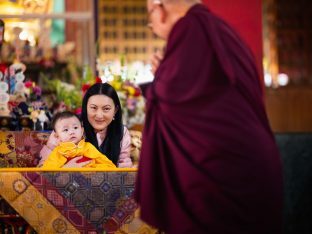 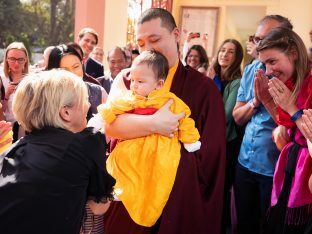 Even though Karmapa’s teachings and commentary spanned the subjects of fear, anger, death and dealing with afflictive emotions, they were all imbued with loving kindness – and lots of laughter. 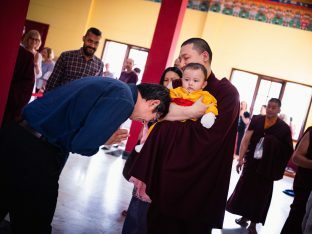 The crescendo of joy that had been building during the week’s teachings, climaxed with the visit of Sangyumla and baby Thugsey on the final day of the Karmapa Public Course. 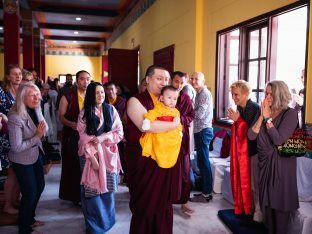 For many of the students, it was their first opportunity to meet with Karmapa’s family. 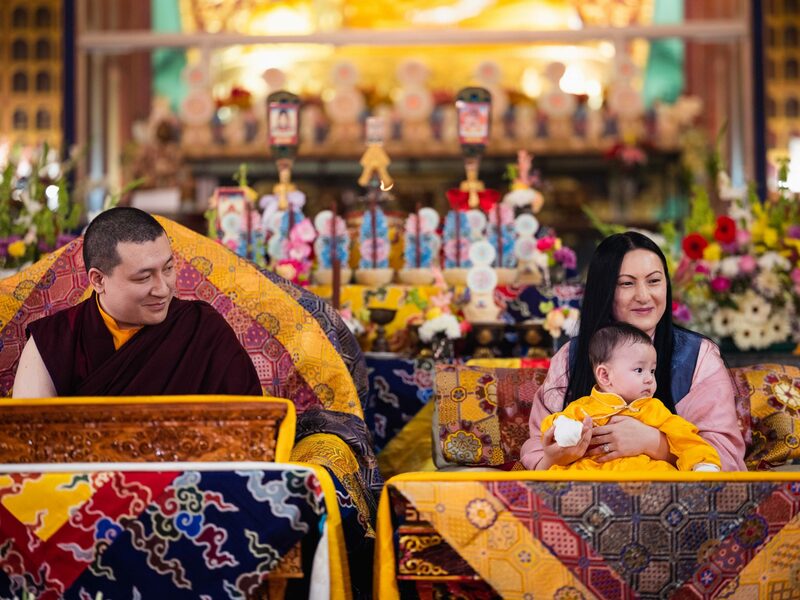 We hope you enjoy the photos of this wonderful occasion.